'Barney the dog is a Westie crossed with a Cairn terrier.' More than that, Barney is, for Richard Bloss, '...a dishevelled scrap with his own distinct personality and character.' In About a Dog Richard Bloss describes the adventure of owning a dog: the relationship with Boh the cat, the desperate need for chewsticks, the joy of walkies and the fear when cute little Barney goes walkies all on his own in next door's garden. 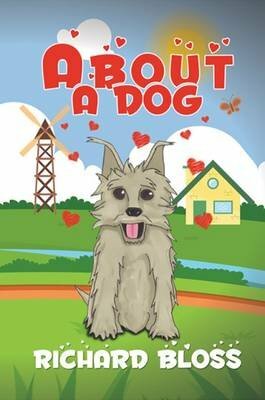 Delightfully illustrated and written with charming comedy, About a Dog will be familiar territory for dog lovers; showing the trials and tribulations - but more importantly, the joy - of owning a rapid-moving, sentient ball of fur.